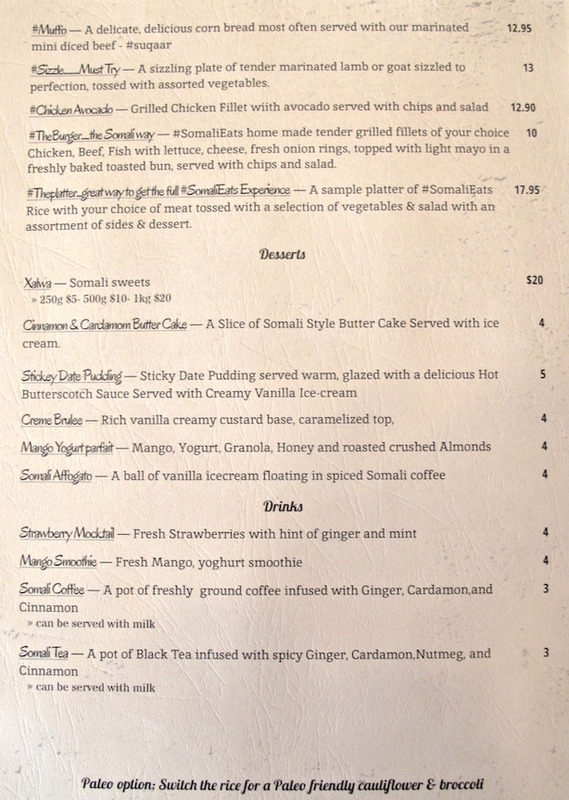 The latest Somalian eatery to grace Racecourse Road is fabulous. 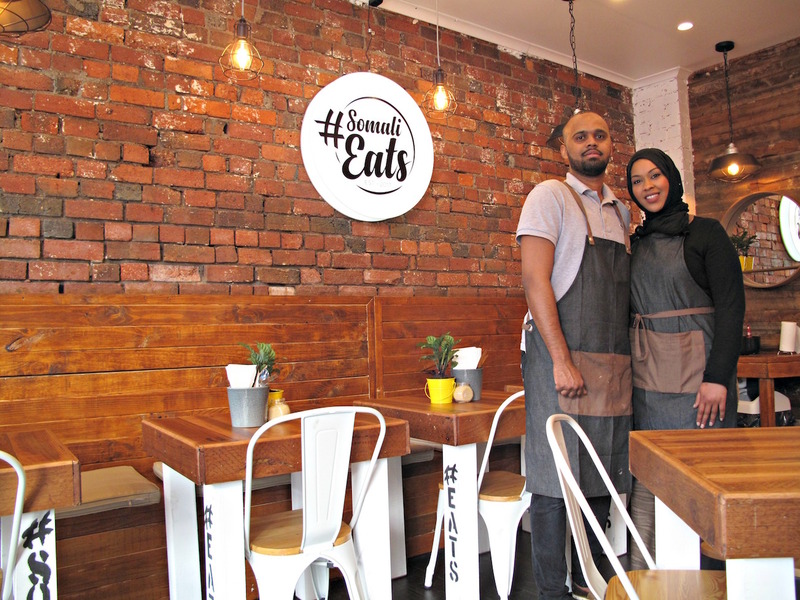 Husband-and-wife team Abdi Mohamed and Amran Sean have crafted a thoroughly gorgeous cafe-style restaurant, with heaps of lovely wood and exposed brick. The welcome is just as cheerful and welcoming as the surrounds. All of which would count, perhaps, for very little if the food didn’t delight as equally. It’s fully soulful Somalian tucker, beautifully cooked and at very, very low prices. The CTS lads are pumped for Somalian lunch. Bennie, Nat and I revel in a superb Saturday lunch. 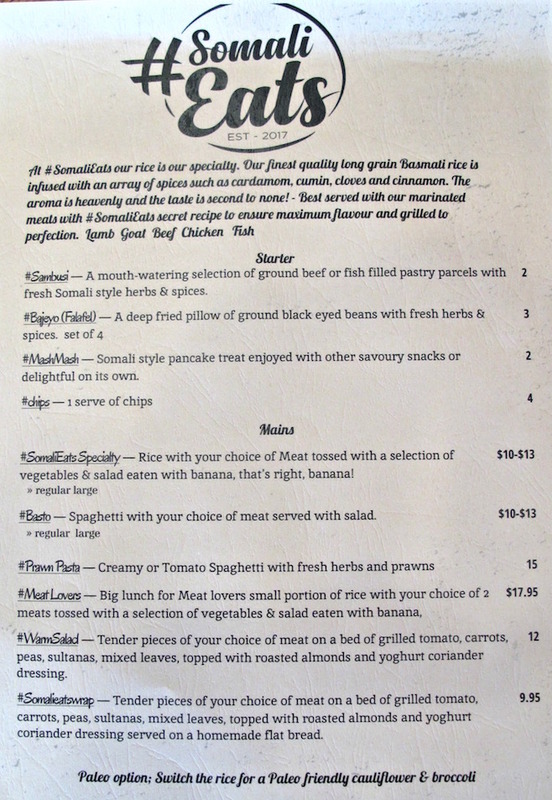 The #Somali Eats menu (see below) offers a lot more variety than most of its neighbours. Gosh, there’s even a hamburger! And there’s a handful of house-made desserts. But I quickly ascertain that two key elements of Somalian food are on offer – the bananas served with main dishes and the soup. 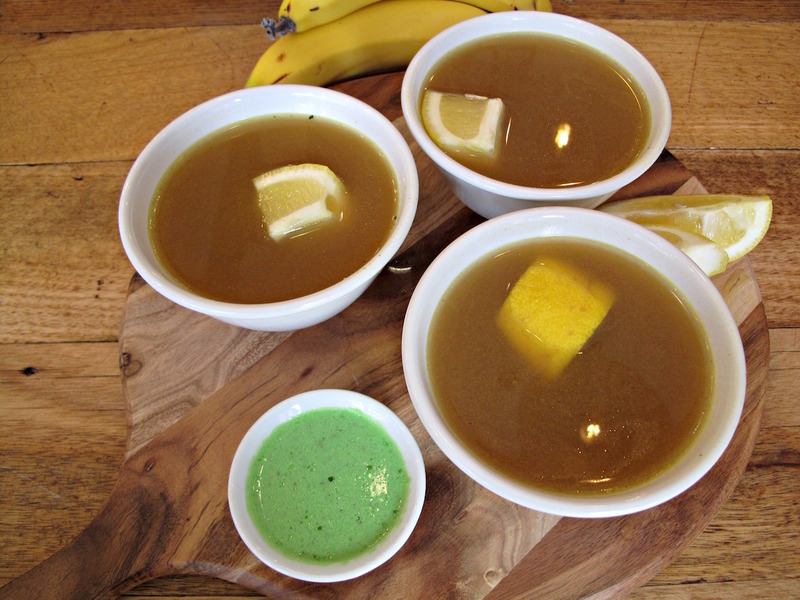 The soup is a very fine variation on a familiar theme – almost no vegetable matter of any kind here; just tangy, awesome broth. Despite the depth of the menu, the truth is – going by what we witness during our lunch visit – about 90 per cent of #Somali Eats’ customers order the same thing. That being the standard meat ‘n’ rice plate. It’s pretty much to Somalians what pho is to the Vietnamese. So that’s what Nat and I do, too, choosing the lamb option. It comes in $10 and $13 versions. Ours, of the bigger kind, are perfect in every way. Here be perfect, epic Somalian rice, seasoned with cumin, cloves, cardamom, cinnamon and nutmeg, with currants and slices of fried onion, carrot and capsicum threaded through. 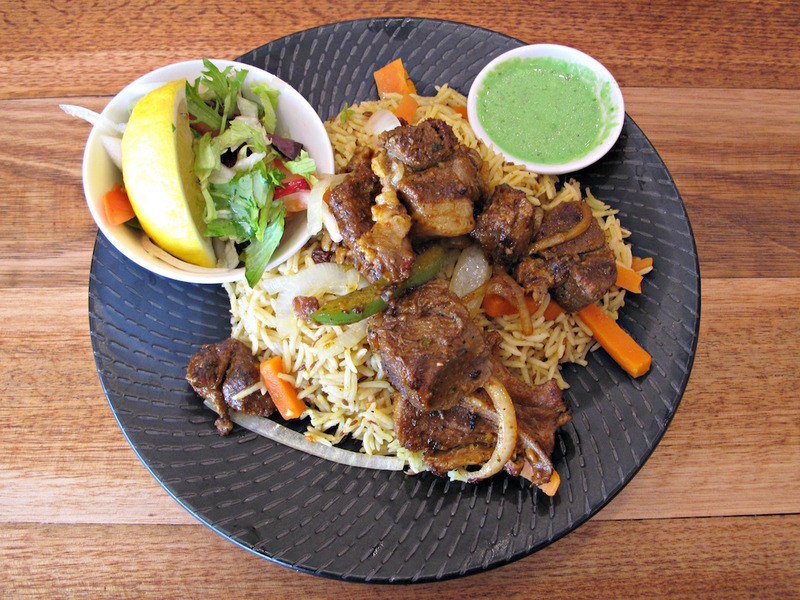 The plentiful meat, nicely browned, sums the art of Somalian cooking – the elevation of cheaper cuts into something akin to high art that is nevertheless earthy, simple and delicious. The salady bits are better – crunchier and fresher – than they appear to be at first glance. Bennie opts for a $13 serving of basto, the pasta equivalent. He digs it plenty and cleans his plate with gusto. I note that the tomato sauce is a lot wetter than we’ve routinely had elsewhere in this neighbourhood. We’d started with a serve of bajeyo (four for $3). Described as falafel, these are very different from the Middle Eastern/Mediterranean fare of the same name. 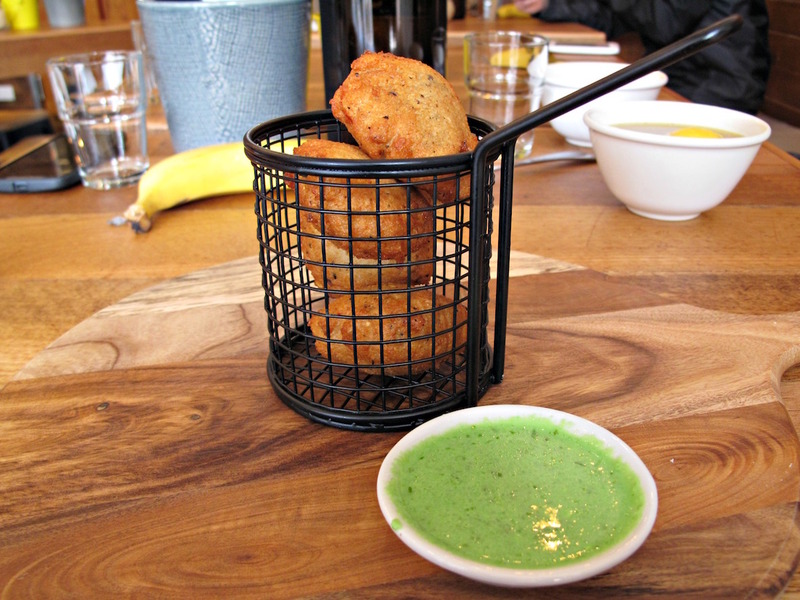 Made from ground back-eyed peas, these – with their spongy texture – are more like the vadas of South India. Still, deep-fried with skill, they a very nice. We’ve arrived very much not in freeloading food blogger mode – not that we ever are. So when Amran extends to us the previous day’s offer – “free lunch” to celebrate the joint’s opening day – it is unexpected. We accept this gracious offer with thanks – but only with the understanding this non-payment will be the last of its kind. At these prices, why wouldn’t we want to pay? 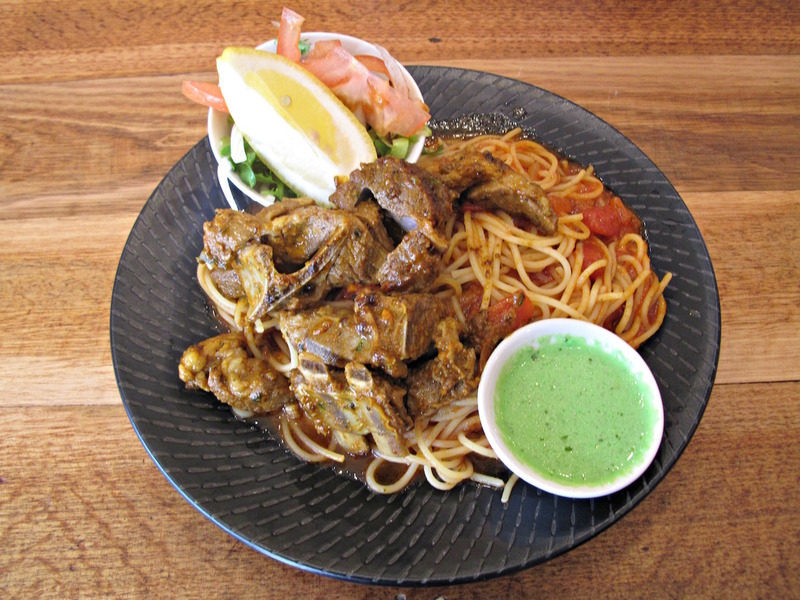 From the perspective of the usual CTS criteria, #Somali Eats could be described as the perfect restaurant. 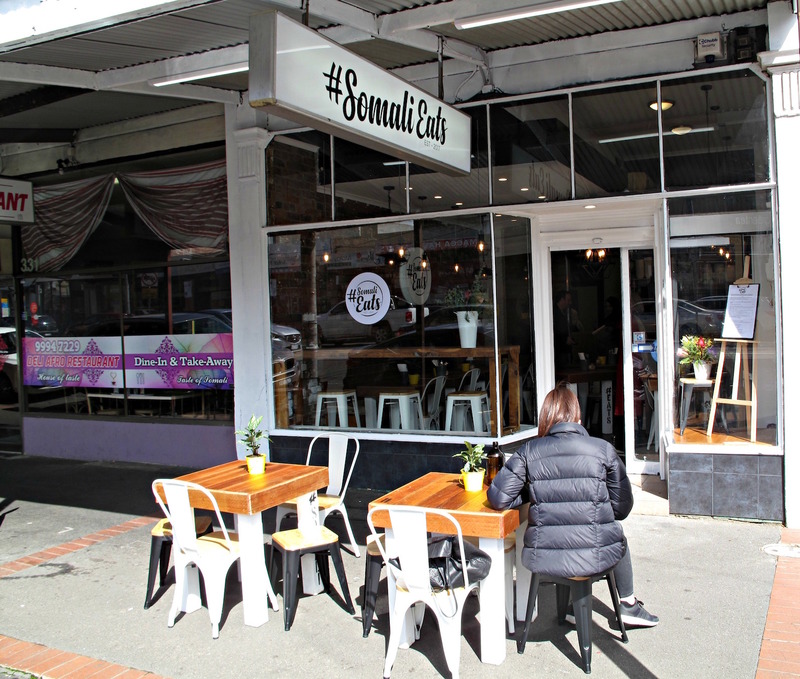 A wow eatery on racecourse rd.can’t wait to try.they need more outdoor seats. I imagine the ordering counter section is as beautiful as those beautiful photos. 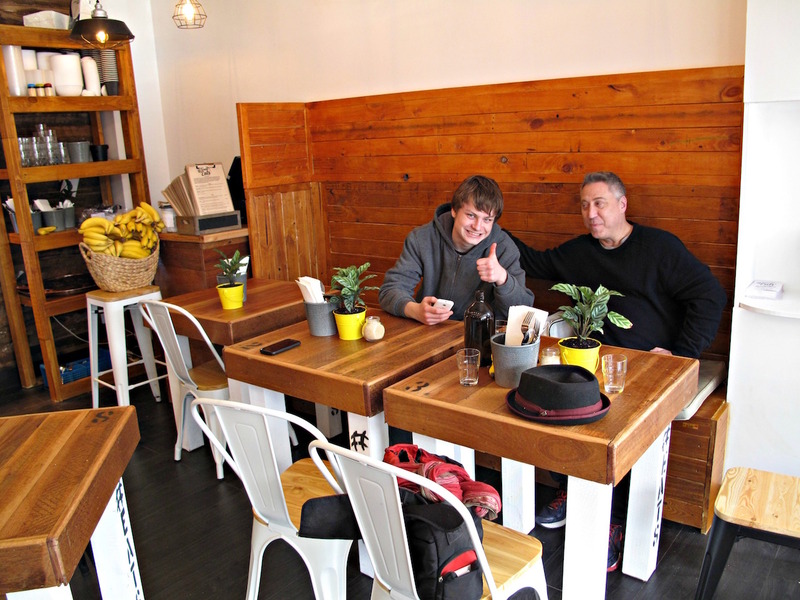 hipster flemington!